Our mission is to collect, preserve, and interpret historically significant and mechanically interesting early stationary internal combustion engines for the education and enjoyment of everyone. Coolspring Power Museum presents an illuminating history of the evolution of internal combustion engine technology that put an end to the steam powered era. 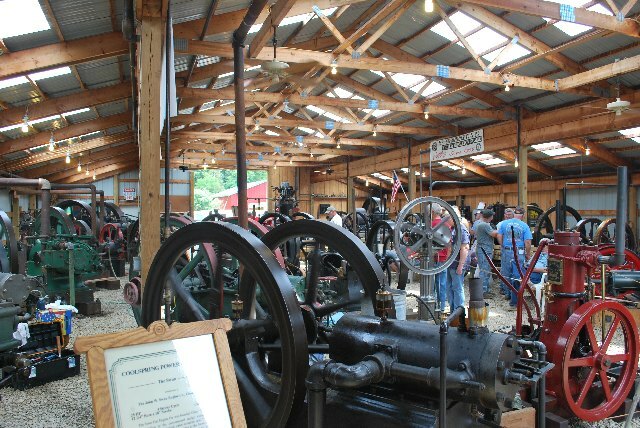 The museum's collection includes over 275 stationary engines housed in more than 35 buildings and outdoor displays. Stationary gas hit and miss engines, throttle governed engines, flame ignition engines, hot tube ignition engines, and hot air engines are all among the permanent exhibits at the Coolspring Power Museum in Coolspring, Pennsylvania. Engines in the museum's collection range in size from fractional horsepower up to 600 horsepower. Please see our Exhibits page which includes a number of Virtual Tours of the exhibits in the museum's collection. Coolspring Power Museum is a 501(c)(3) nonprofit corporation founded in 1985. Please see our Organization page for information regarding our officers, Board of Directors, and coordinators. Our vision is to be the foremost collection of early internal combustion technology presented in an educational and visitor-oriented manner. We strive to provide an organized and functional operation that will gain broad based support and generate substantial growth. Coolspring Power Museum is open for visitors during two days each month in April, May, July, August, and September. The museum is open for visitors during three days each month in June and October. Please see our Events page for the schedule of Open Days and Special Events at the museum and for admission details. We offer special admission pricing for student groups, scout groups, and youth groups. Please contact the museum for more information about group admission pricing. The museum is located in Coolspring, Pennsylvania, which is on Route 36 about halfway between Punxsutawney and Brookville. Our Visitor Info page provides travel information for planning your visit to Coolspring Power Museum. Here you will find local driving directions, access to maps of the area, airport information, and listings of restaurant and lodging options. Be sure to visit our Coolspring page which presents a brief history of the village that is home to our museum. Museum Open Days and Special Events are scheduled to coincide with the third Saturday of the month from April through October. Please see our Events page for the schedule of Open Days and Special Events at the museum. Open Days give you the opportunity to experience the museum's many exhibits through informative tours led by our volunteers. You may also create your own experience through a self-guided tour. The museum hosts several Special Events during the year. The Exposition & Flea Market celebrates engines and related artifacts brought to the museum by many exhibitors. The Exposition occurs on June 13, 14, and 15, 2019. It also includes a flea market with an eclectic assortment of items for sale. The Antique Car, Truck & Tractor Show highlights classic cars, classic trucks, and antique tractors in an informal, casual day at the museum. History Day showcases the exhibits of the museum with tours, demonstrations, and plenty of engine runs. Both of these events occur on July 20, 2019. The Fall Exposition & Swap Meet brings together engine exhibitors and enthusiasts for three days of engine runs, technical discussions, and a bit of swapping and shopping. The Fall Exposition occurs on October 17, 18, and 19, 2019. Coolspring Power Museum is open during two days this month. Our next Open Days are April 20 and 21, 2019. Please see our Events page for the 2019 schedule of activities at the museum. Our hours on the Open Days are 10 a.m. to 5 p.m. 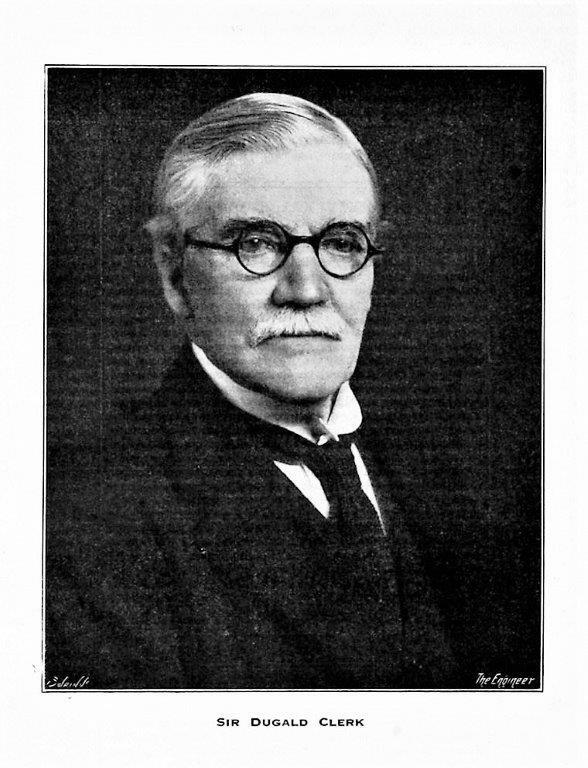 In the most recent edition of The Flywheel, our online publication, Paul Harvey describes the many accomplishments of Sir Dugald Clerk and his contributions to the design of internal combustion engines. A special note for our friends in the United Kingdom, Ireland, and Europe: British Airways is now offering non-stop service between London Heathrow Airport and Pittsburgh International Airport. Please keep this option in mind if you are considering a visit to Coolspring! Our Visitor Info page lists additional air travel options. Please consider shopping by mail at Coolspring Power Museum. 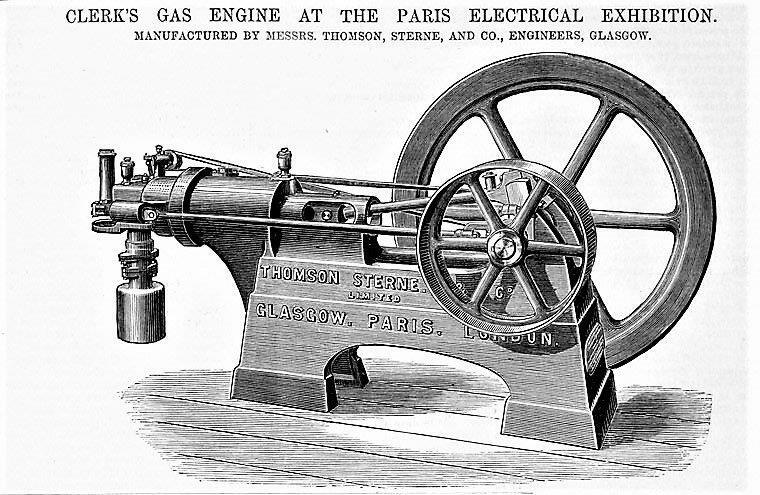 We offer a number of publications for sale including Wayne Grennings' excellent book, Flame Ignition: A Historical Account of Flame Ignition in the Internal Combustion Engine, back issues of Bores & Strokes, and booklets about the Snow and Cooper-Bessemer engines. Please see our Publications page for more information. Ogden Publications also offers two volumes of Coolspring: Discovering America's Finest Antique Engine Museum as well as a DVD featuring many of the museum's engines. These items are available directly from Ogden Publications. Please see our Publications page for details.